Mushrooms and Chard is a really quick dish that can be served with rice or on toast or alongside another vegetable dish or two. It can stand alone or mix nicely with others like a good houseguest! 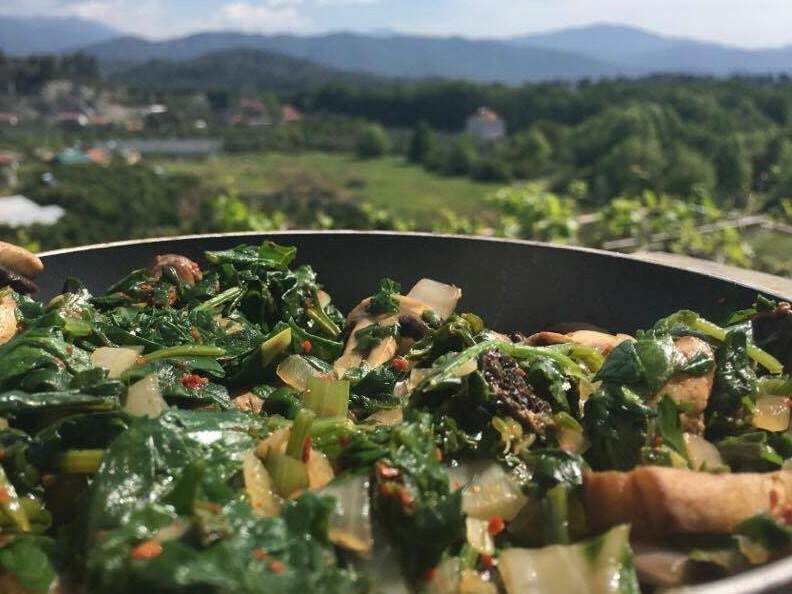 Mushrooms and Chard is one of those stupidly easy recipes that comes together in minutes and is delicious as well as being completely healthy too. The mushrooms give it more depth and make it a filling meal replacing the need for meat. Serving it up with a carb or starch like rice or pasta, makes it a complete meal. The yogurt and red sauce dressing is optional. Sometimes I serve it with a yogurt sauce as well, which is a lovely rich accompaniment and I dribble some tomato or hot pepper butter sauce on top, making it look as though you spent an extra half hour in the kitchen creating this little five minute wonder! So when you have some mushrooms and chard looking at you from the refrigerator vegetable drawer, give this recipe some thought. It’s a really easy dish that can be cooked up for breakfast, lunch or dinner, making it 5 stars in versatility! And yes, we have eaten this for breakfast, with a few eggs dropped on top and left to cook till the whites are solid but the yolks still runny. Quite delicious, even if I do say so myself! The yogurt sauce is optional and this dish can be served without it. Add the mushrooms and slowly cook until all the juices have dried up. Do not overcook, you still want these to have a firm bite. Add salt and red pepper flakes to taste, mix well and cook another 3 to 5 minutes with the lid on. Previous Post: « Weed – what is it good for? is this a turkish dish? 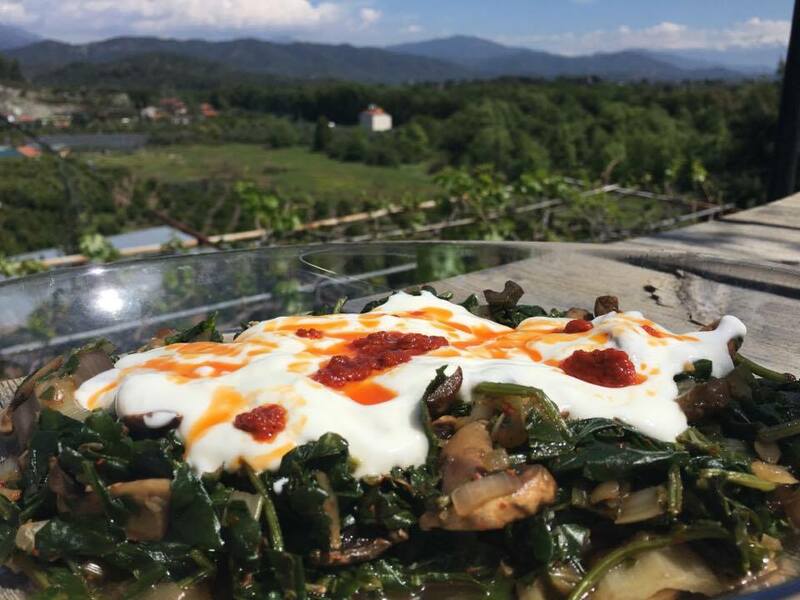 Yes this is a totally Turkish dish.